Discover the beauty and tranquility of Ungurmuiža. Restore your inner serenity with us. The unique Latvian baroque style wooden building with its one-off wall-paintings heartily welcomes visitors. Tours are available in Latvian, Russian, English, and German. The special atmosphere of the Ungurmuiža will affect everyone – art and nature lovers, historians… This is a place for romantic walks, celebrations, or family leisure activities; this is the place where old oaks and lindens tell stories about the centuries long relationships between nature and human beings and give blessing to next generations. Concerts in summers that gather hundreds of viewers who enjoy classical music in the open air at the atmosphere of the park had become a tradition. 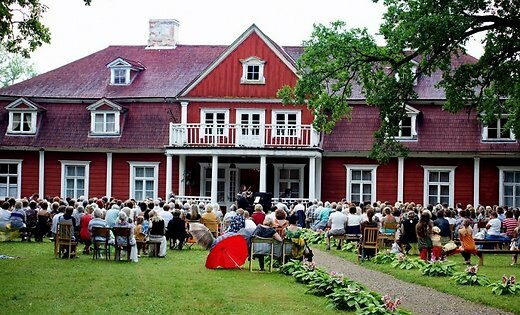 In the wintertime, in evenings, visitors are welcome to spend time at the traditional small music venues of Ungurmuiža; besides it is possible to see the Latvian artists’ works at the exhibition hall. 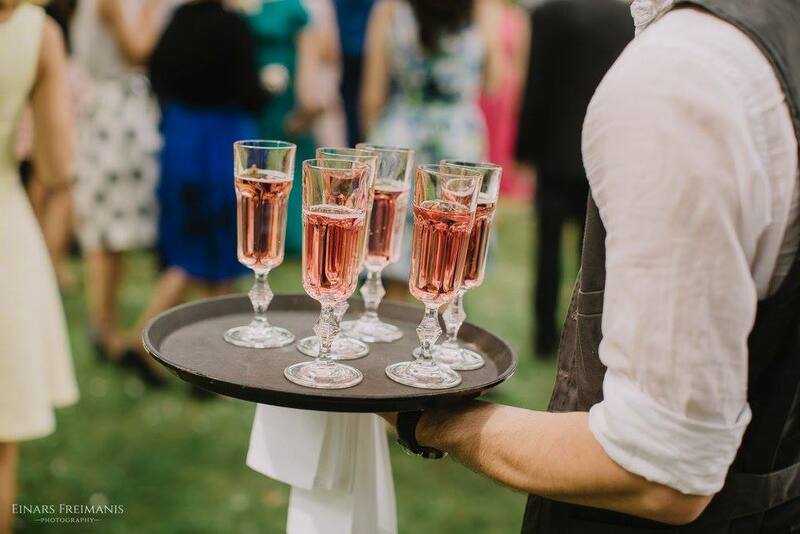 The ballroom of the Manor House, terrace, or park is perfect for a wedding ceremony where you can clink the champagne glasses after the official part of the event, enjoy the look of the historical building, or write the wedding vows under the old oaks. The park of the Manor House is a remarkable photography studio of the nature. The restaurant of the Ungurmuiža is open for those who love delicious meals from seasonal products and centuries old recipes. 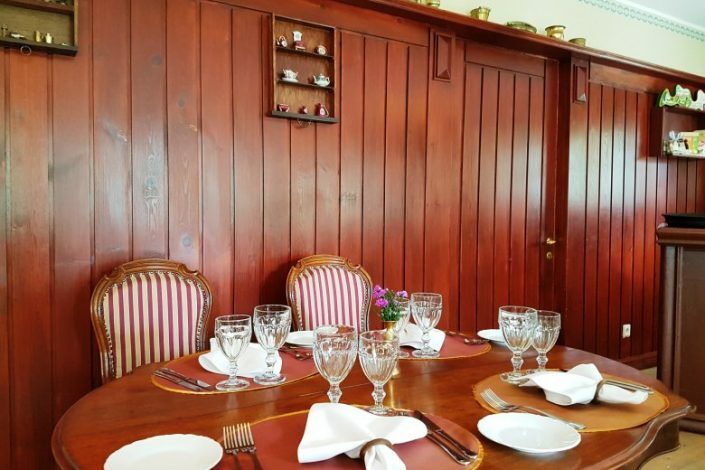 The chefs of the Ungurmuiža will be glad to hear your desires and will prepare meal for your celebrations in the restaurant, Manor House, Tea House, or park at any time convenient for you. Order your meal in advance! 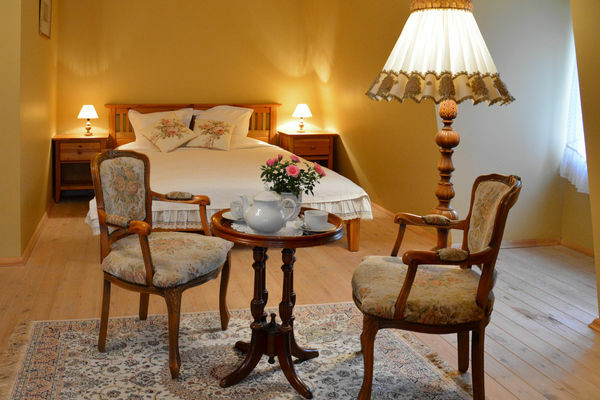 In summer, it is possible to stay in Manor House where two guest rooms are or choose one of tree apartments in the “old school”. At the time of events 60 overnight guests (including extra beds) can be accommodated (30 overnight guests in wintertime). We will be glad to meet you at Ungurmuiza and restaurant! Please call to order your table!